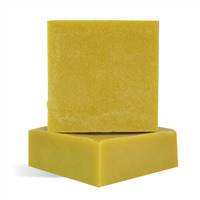 This great smelling bar of soap is full of beneficial ingredients like parsley powder which is thought to soothe and cleanse the skin. The pumpkin powder is full of antioxidants, beta carotene and other very beneficial vitamins and minerals. To a large glass measuring cup, add 36 oz. of cut up clear soap base along with 3 oz. of white soap base. Heat in microwave for 2-3 minutes or until completely melted. In a plastic beaker, mix 1.10 oz. 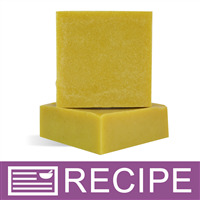 of Pistachio Cardamom Cake Fragrance Oil with 0.55 oz. Vanilla Color Stablizer. Mix well and let sit for 2 minutes. Add fragrance mixture to the melted soap and gently stir in. Mix 1.5 tsp. of pumpkin powder and 1.5 tsp. of parsley powder into 1 oz. of glycerin. Stir until powders are completely incorporated into the liquid. Add this mixture to the melted soap base and stir well. Place the silicone soap mold onto a cookie sheet to give the mold stability if it needs to be moved. 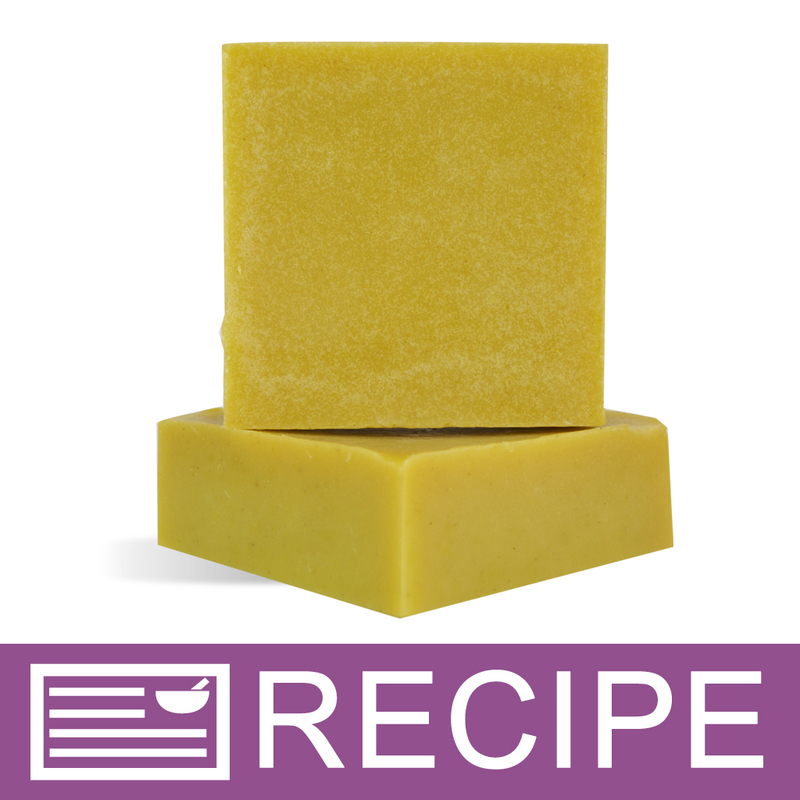 Let soap cool to 135°F then gently stir to incorporate ingredients. Pour the soap into the 6 cavities in the Square Basic Silicone Mold. Spritz the top of the soap with alcohol to release any surface bubbles. Once the soap has almost completely hardened, remove soap from silicone mold. Optional: With a mallet and a soap stamp, pound the words into the top of each soap bar. Wrap soap in airtight packaging. Ingredient Label: Sorbitol, Propylene Glycol, Water, Sodium Stearate, Sodium Laureth Sulfate, Fragrance, Glycerin, Pumpkin Powder, Parsley Powder, Sodium Myristate, Silica. "Hi-Where in the recipe do I add the 3 oz of White Soap? I must be missing something because I see it in the ingredients but nowhere in the instructions. Thanks again, this looks like a dreamy smelling soap! " Staff Answer We are sorry this step was missing from the directions. The 3 oz. of white soap should be added to the 36 oz. of clear and mixed together. The white soap adds depth to the clear soap.